Portuguese, a Romance language, and Slovene, a Slavic language, are distant in the geographical, historical, cultural and linguistic senses. There are not many contrastive studies of these two languages, and even fewer in the phonetic-phonological field. The present work is limited to the study of standard European Portuguese (PE) and aims to address one of the major problems in teaching Portuguese phonetics to Slovene speakers: the correct production of Portuguese nasal vowels. After a contrastive presentation of the vowel systems of both languages, the study is limited to Portuguese nasal vowels and diphthongs, which do not exist in Slovene. The analysis of Portuguese vowels is fundamentally related to the position of the accent: stressed vowels and pretonic, postonic or final vowels. The nasal vowels are presented in smaller numbers than the oral ones and do not occur in postonic syllables, except in some diphthongs. 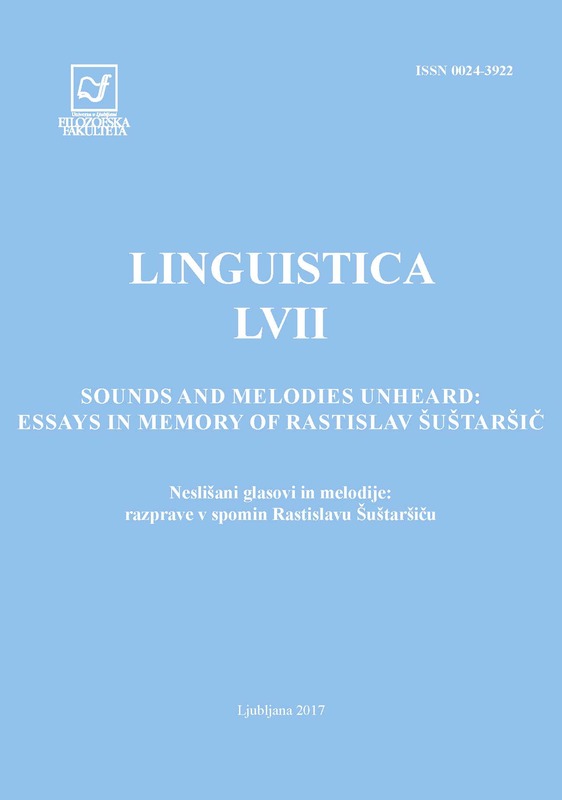 This work presents the analysis of a practical survey carried out in Portuguese classes for Slovene students of level A at the University of Ljubljana and is focused on the production of nasal vowels by Slovene speakers. The objective is to highlight the errors produced, to look for the causes in order to improve the teaching of this aspect of the phonetics and phonology of the European Portuguese.